I opened xchat and for some reason it's not got a filled triangle on the left of the launcher icon. It's like bamf thinks it's on another desktop or screen. Prior to starting xchat I did have it running whilst I was connected to an external display. I ejected my laptop from the docking back (thus removing the external display) and have suspended / resumed a couple of times since. 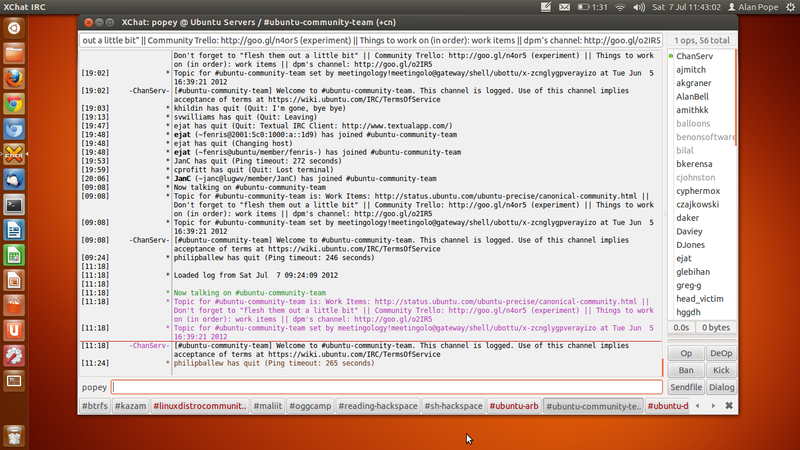 xchat was closed though, I started it and now it seems to be in this odd orphaned state.